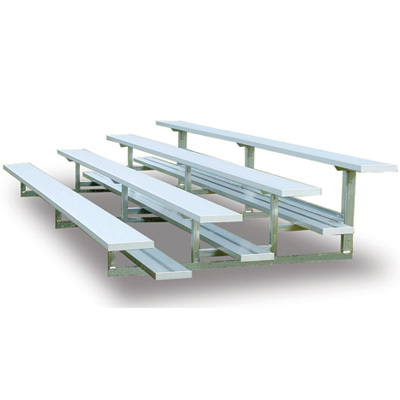 These Locker Room Benches with Steel Pedestals are available on www.buyusedlockers.com where they have a huge selection to choose from if we need additional supplies. 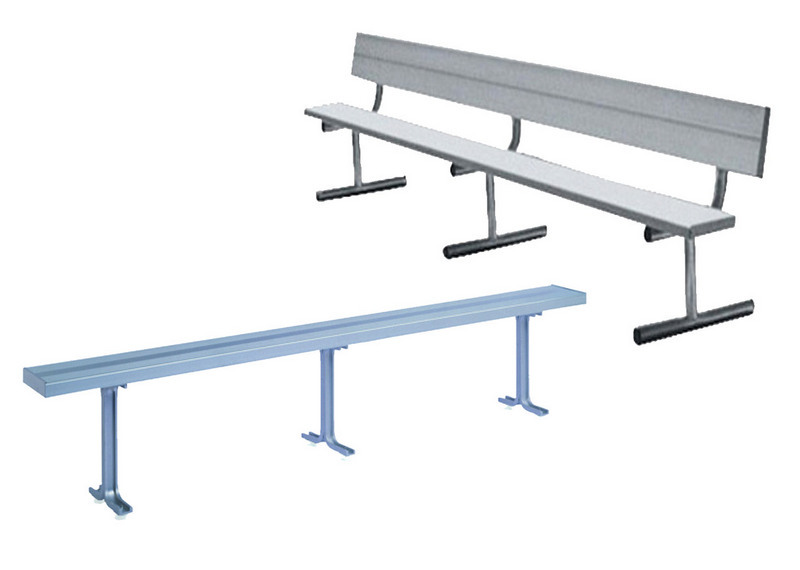 Locker Room Benches with steel tubular pedestals in stock and ready to ship to you immediately from one of our several warehouses located throughout the USA. Tops are solid hardwood maple strips with a clear lacquer finish to keep them looking new for years to come and to reduce moisture penetration. 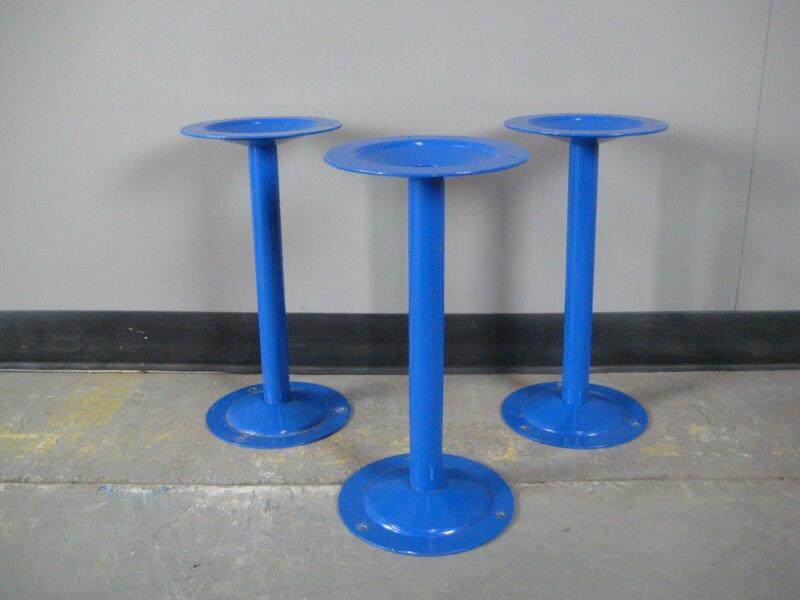 Pedestals are tubular solid steel with bell flanged tops and bottom with holes punched to anchor pedestals to the floor and to the tops. Also known as butcher block tops are 1-1/4" thick. Sizes in 1' increments range from 3' to 12' lengths. 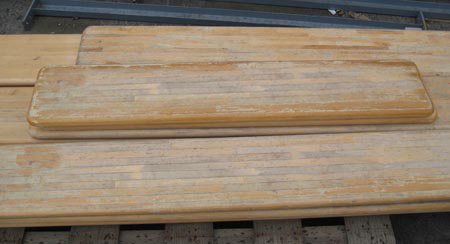 In Stock in 9-1/2" and 12" wide. 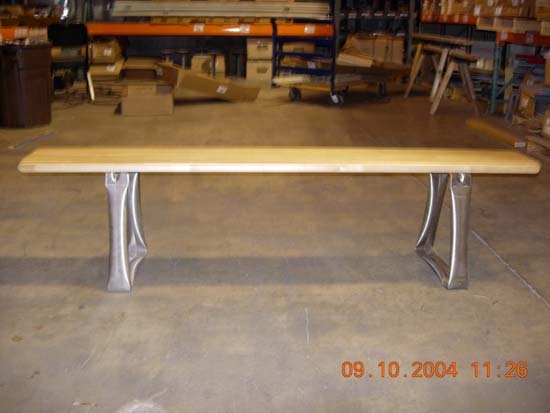 Pricing as follows with Tubular "Gray" or "Beige" Pedestal Supports. 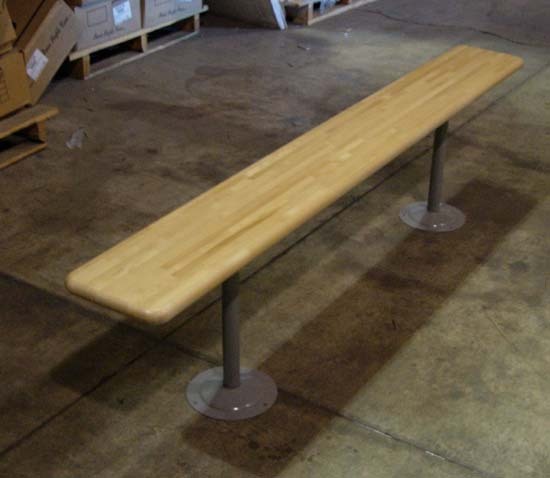 These make the perfect accessory to any gym, pool, spa, fitness facility locker room or any time you need quality bench seating for multiple users.